Star Girl: Princess Gala v4.0.6 Mod apk for Android. Become the fairy tale princess you’ve always dreamed of! 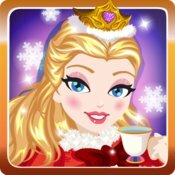 Live the whimsical life of royalty and capture the hearts of dashing princes in this chic fashion simulation Game. Hi Girls! Update 4.0.5 is now live bringing some tweaks to improve performance! – Awesome new and improved graphics! – Sound and performance enhancements for a better experience.